This video looks at the second part of the ERE … RELATIONSHIPS. This is the piece that is most often ignored by our traditional training and education. In addressing RELATIONSHIPS, Rick looks at three aspects of how relationships are key to the learning and growth process, and how teachers, can leverage best practices and next-level understandings to exponentially increase effectiveness, connection, and satisfaction in the field. Rick references late professor and human relationship expert Bill Wilmot’s work “Dyadic Communication” where he puts forward the theory that in social settings, such as classrooms, schools, and out-of-school time centers, our social interaction and effectiveness is based on a series of what he calls “Dyadic Relationships”; Dyadic literally meaning interactions between just two people. Groups then become nothing but managing many one-on-one – or – DYADIC – relationships in concert with each other. Rick discusses how to utilize these concepts to transform your student relationships. Rick then issues a challenge to everyone who works with children and youth – and that is to adopt what he calls a ROLE-MODEL MENTALITY. That is, to actively understand, appreciate, and design our lives around the identity of being a ROLE MODEL. First Rick introduces his “mountain pathway theory” which is basically that – we’re all – you, me, everyone in the world – climbing this mountain called “life” – and we all have different ways of doing it. And that teachers are a special breed on this mountain. Not only are teachers making their way up the mountain, but, because of their vocation, teachers are also leaders – helpers. Teachers do we make our way up the mountain, but at the same time, they are helping others –students – make their way as well. Rick also introduces the Japanese principle of kaizen. Simply, kaizen is the Japanese word for “improvement”. The principle of kaizen is the understanding of growth and development as a never-ending process, rather than just a finite procedure. Applied to the Role Model Mentality, it means committing daily to looking at how your practice of being a role model is showing up in the world and working on improving it each and every day. Rick talks about looking at relationships in the classroom setting, whether it be a traditional classroom, afterschool center, preschool or anywhere children and youth are gathered with an adult at the head – one thing that’s important to define and look at is how to SET THE STANDARD. As leaders, teachers are responsible for setting the tone, the norms, and the mores for the culture that is created by the group. GREAT teachers mold and shape the relationships in the classroom to truly create genuine learning. Setting boundaries is important, as they demonstrate to the group the limits of what is acceptable and what’s unacceptable in your group. Rick also introduces the SIX MAGIC WORDS when it comes to creating boundaries in a group culture, these six words, when invoked carry ten times the weight and gravitas of any other phrase. He tells you how to apply them in the classroom, so that they work magic! Hey everybody! Rick Rood here and welcome! Let’s jump in to Relationships! Now, in the ERE paradigm, which was developed by Concordia University’s School of Education, we’re invited to look at our practice of how we interact with our students using three separate, yet interdependent lenses: the ERE: E for Environment, R for Relationships, and E for Experiences. Today, we’re looking at the piece that is most often ignored by our traditional training and education – and that’s the piece about RELATIONSHIPS. Most of our training in how we interact with our students and develop curriculum, it all centers around the EXPERIENCE piece – you know, what IS the curriculum, what are the processes, and what are the activities we use to drive a desired result as a teacher? The EXPERIENCE piece is key, as is the ENVIRONMENT, which we talked about a couple of weeks ago – but that leaves the very soft-skill of RELATIONSHIPS that gets the least attention of the three. So, in addressing RELATIONSHIPS today, I want to take a look at three aspects of how relationships are key to the learning and growth process, and how, we as teachers, can leverage best practices and next-level understandings to exponentially increase our effectiveness, connection, and satisfaction in our jobs and in the field. The late professor and human relationship expert Bill Wilmot, in his key work “Dyadic Communication” puts forward the theory that in social settings, such as our classrooms, and our schools, and our out-of-school time centers, our social interaction and effectiveness is based on a series of what he calls “Dyadic Relationships”; Dyadic literally meaning interactions between just two people. Now, without getting too much into the brain and social science behind it – Wilmot tells us that, even in a social situation where multiple people are present, such as a classroom, our human nature and ability only allows us to connect relationally to one other person at a time. Groups then become nothing but managing many one-on-one – or – DYADIC – relationships in concert with each other. For instance, a student in your classroom has a one-on-one relationship – with every other member of the class as well as any adults that are regularly in the classroom, whether they’re teachers, aides, or parent volunteers. A student’s ability to function in such an environment relies heavily on their ability to manage each of these relationships. Now of course, some relationships will be strong and involve lots of communication, and some will be less connected, perhaps at an “acquaintance” level or even weaker. But, all of these relationships put together create the student’s sense of what it is to be a member of that classroom. You can see the complexity rise as the student manages between ten and forty dyadic relationships within one classroom. As you might guess, this doesn’t just apply to children and youth – but it also applies to you, the teacher! While you may experience the classroom setting as more of a unified whole – remember that your brain has many more years of experience in managing larger social situations – at the core, the constituent parts of the classroom come down to your individual, dyadic relationships with each of the students in your class, as well as any other adults who are regularly in the environment. And, just like your students, some of these relationships will easily develop with rapport, and deepen in terms of communication and affinity. However, some will be harder to cultivate. But it really is the soft skill of the teacher – the ability to create rapport and foster communication in each of these dyadic relationships that will create the underpinnings of your effectiveness and success as a teacher. The fact is, many of us who are in the educational field have a natural ability to create and sustain these relationships, and, even on an unconscious level, we’ve created success for ourselves as a teacher. If you’ve ever had someone compliment you as to your natural rapport and ease of communication with your students, it’s evident that your knowledge, skills, and abilities have already brought you to a workable level of unconscious competence in this area. But to really dig down to the advanced levels of this skill, let’s apply some conscious intention and focus, and by doing so, we’ll reap even more benefits of effectiveness and success at our teaching mission. Now first off, as the teacher, the ultimate relationship goal should be to develop and maintain deeper and more communication-rich dyadic relationships with each and every one of your students. Using good old-fashioned people skills and rapport, it’s easy and possible to create dyadic relationships that are workable. So, how do you do that? Well, there’s volumes and volumes of books, videos and coursework on how to develop relationships … and I will tell you that one thing that Bill Wilmot recommends in his Dyadic Communication book is the quality of each dyadic relationship is always proportional to the amount of communication that’s happening. Give EACH relationship MORE communication. And remember, as you are learning about communication, what works for one person doesn’t always work for someone else. We all have different personalities. Even just simply asking the question “How can I deepen my relationships with each student?”, that will take you to a more advanced level than you were previously at. That’s a great start! Ask yourself that question every morning and I think you are going to be amazed at the answers that will come to you! Now in addition, for the whole unit of the classroom to truly succeed, let’s flip our perspective to that of the students’ dyadic relationships – especially those they have with the adults in the classroom. In order to be fully functional and primed for optimal cognitive, social, and emotional growth, each student needs to have at least one strong, in-depth dyadic relationship with an adult or authority figure within the classroom. In preschools or in afterschool programs, this one-on-one matching becomes a little easier because of the usually larger number of adults working within the classroom construct. More adults, more chances for connection. In traditional school classrooms, adults can include frequent parent helpers or aides, sometimes professionals that are normally considered “outside” the classroom, but are still part of the school, think of guidance counselors, principals, resource teachers, or even yard supervisors. But here is the rub, studies have shown that learning and growth skyrockets when there is at least one “Significant Adult” in the school or afterschool realm that has a deepened dyadic connection with the student. The advanced teacher already understands this, and in cases where they, for whatever reason, don’t form a strong dyadic bond with a particular student, they’re always looking to make sure that that student has a strong dyadic bond with some other adult in the classroom setting. So, what is the takeaway? Spend some time thinking about each individual student you have – and gauge the level of your relationship with them. Always seek to boost your rapport with each student and communication more and look to the other adults in the immediate environment who may have a natural rapport with different individual students. Make sure that each student has at least one strong dyadic bond with an adult in your program or classroom. Most of us who work with children and youth do so out of a desire to make a difference in the world – and most of us are in touch with the importance of our work as it relates to the future. Now with that understanding, I’d like to issue a challenge to all of us who work with children and youth – and that is to adopt what I call a ROLE-MODEL MENTALITY. That is, to actively understand, appreciate, and design our lives around the identity of being a ROLE MODEL. The first piece of background that I’d like to start with around being a Role Model is the “mountain pathway theory”. The “mountain pathway theory” is basically this – we’re all – you, me, everyone in the world – climbing this mountain called “life” – and we all have different ways of doing it. Some are born racers, moving fast from here to there and some are wanderers, some are logical, some are adventurous… well, you get the idea. But as teachers – we’re a special breed on this mountain. Not only are we making our way up the mountain, but, because of our vocation, we’re also leaders – helpers. We do we make our way up the mountain, but at the same time, we’re helping others – our students – make their way as well. We’re the leaders, the role models to our students. But here’s the difference between just being a role-model and having a ROLE MODEL MENTALITY: when we have a ROLE MODEL MENTALITY, we’re constantly in the process of acknowledging our function and character as a ROLE MODEL; we bring intention in to how we teach, how we think, how we lead, and how we interact with our students. We bring a level of consciousness to the process that helps us grow as leaders. And this level of intention stays with us – even beyond the hours we spend with our students. If you haven’t seen my video on Questions, go check that out… it talks about the methodology and the reasons why asking questions is important and effective! So, the conscious role model is intentional. 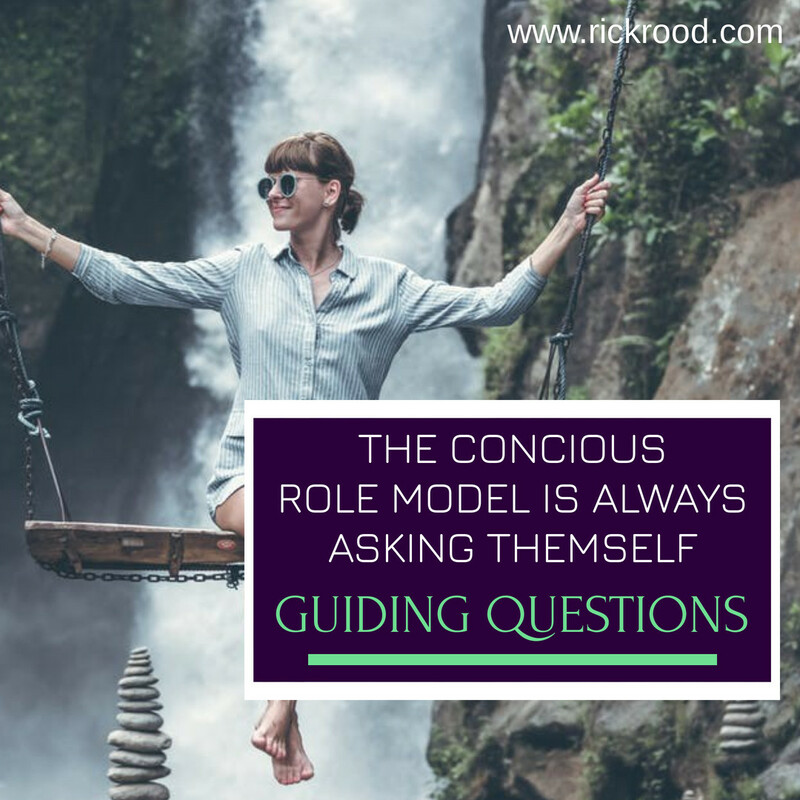 The conscious role model is always asking themselves guiding questions. A third aspect of having a role model mentality is the understanding of the Japanese principle of kaizen. Kaizen is a philosophical precept that became popular in Japan in the post-World-War-Two era and it’s largely credited with Japan’s meteoric rise from the ashes of war into the technical and manufacturing superpower that it’s become. Simply, kaizen is the Japanese word for “improvement”. The principle of kaizen is very simple: it’s the understanding of growth and development as a never-ending process, rather than just a finite procedure. In short, the principle of kaizen is to commit to small, consistent, daily improvements. So, applied to the Role Model Mentality, it means committing daily to looking at how your practice of being a role model is showing up in the world and working on improving it each and every day, even if in just some small way. The principles of kaizen encourage us to examine and evaluate our processes constantly – that means ALL the TIME – constantly, consistently – now, there’s a key word … consistency is everything! 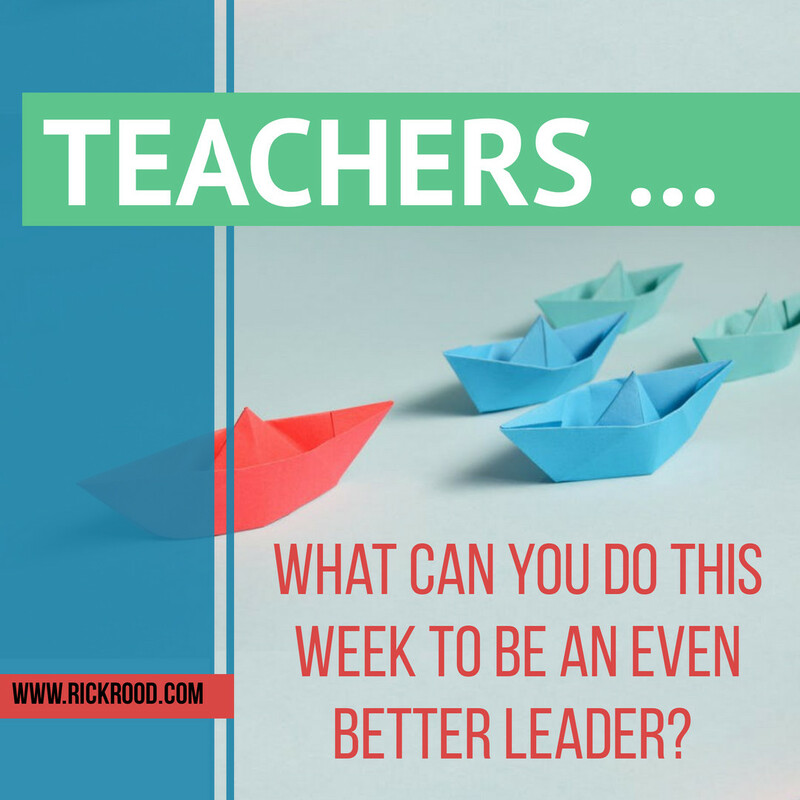 We can all engage with our growth and with our practice every now and then… but the teachers that are taking it to the next level, I’ll tell you what they have, they have CONSISTENCY … they do it every day without fail! 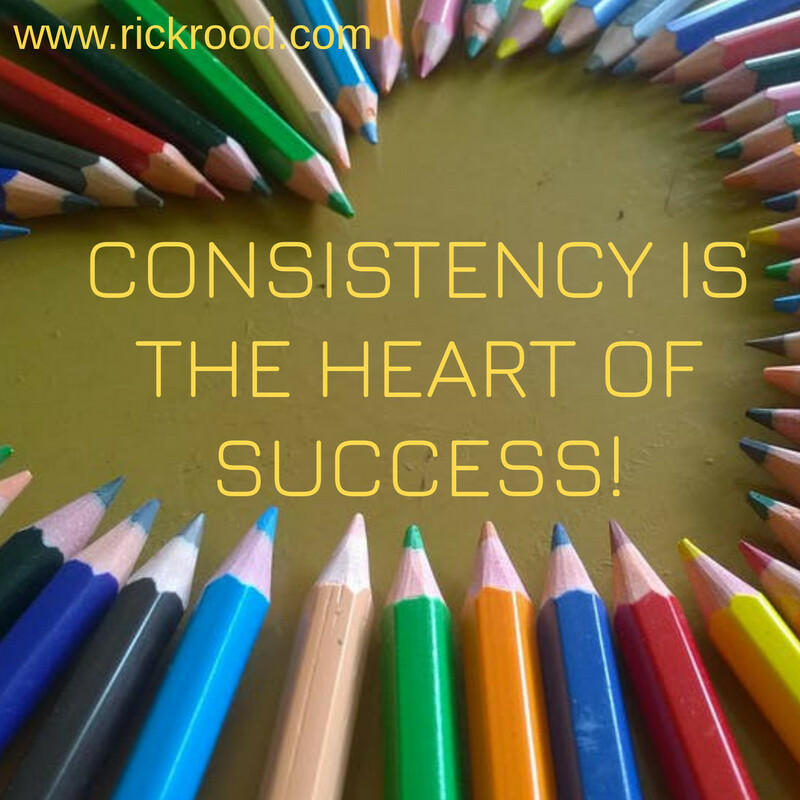 In fact, as you look out at the teachers who really have moved the needle from GOOD to GREAT, you’ll find that this simple word – CONSISTENCY – is at the heart of their success. So, kaizen asks us to approach our Role Model identity CONSTANTLY and CONSISTENTLY… and to commit to INCREMENTAL improvements. Giving yourself a direction… that’s the key… knowing that all you have to do is just to make small adjustments toward that direction. It’s a lot like driving a car… as long as you know your destination and your direction, really all you gotta do is keep your hands on the wheel, and keep making small, minute adjustments to the steering wheel that keep you in the middle of your lane! So, with the adoption of a role model mentality, you are constantly and consistently finding improvements to your practice – how you interact with the students, how you interact with colleagues, how you show up in your classroom – all the while being consistently intentional and asking the questions of yourself that move you to the next level in your teaching practice. When we look at relationships in the classroom setting, whether it be a traditional classroom or maybe an afterschool center or a preschool or really anywhere children and youth are gathered in number with an adult at the head – one thing that’s important to define and look at is how we SET THE STANDARD. As leaders, we’re responsible for setting the tone, the norms, and the mores for the culture that is created by the group. Now each classroom’s culture is going to be a little different… simply because culture isn’t ever dictated from the top down… the overall culture and feel to any classroom is an amalgamation of the characteristics of each specific member of the group. In my opinion, this is where the art of teaching comes in… this is really the beautiful dance of the whole discussion about relationships. It’s so important that children and youth contribute to the overall culture and flavor of a classroom or center – their ability to feel comfortable and to learn skyrockets when they know they’ve had a hand in creating the culture! Now the balancing act – the dance – comes in with you, the teacher, the leader. Obviously, while allowing students to make the overall feel and culture of the classroom their own, it is up to you to not only add your important pieces to the mix, but to also direct, shape, and mold it so that it doesn’t devolve into complete anarchy. You are the great conductor, responsible for molding all this raw energy into a glorious symphony of learning and relationship harmony. I know… it’s a huge task, and it’s really even harder to accomplish than it sounds. But, like I said, this is where you, as a teacher get to show your passion and your expertise… your knowledge, skill, and ability. Any teacher can deliver facts from a book to students… GREAT teachers mold and shape the relationships in the classroom to truly create genuine learning. The first thing you’ll probably want to look at as you shape your classroom’s relational culture is setting up boundaries. By setting boundaries, you can free the children and youth to add pieces of themselves in a way that’s … well, BOUND, by what you want to achieve in the group culture. Setting boundaries is important, as they demonstrate to the group the limits of what is acceptable and what’s unacceptable in your group. One of the easiest tools I’ve learned for setting up boundaries in a group culture is something I learned when I was the president of our local Little League. Our league culture had some things that needed fixing – mostly around parents being disrespectful to coaches and umpires and taking the game WAY too seriously! This is when I learned the SIX MAGIC WORDS. Now, when it comes to creating boundaries in a group culture, these six words, when invoked carry ten times the weight and gravitas of any other phrase I’ve heard, and, after I learned them, I not only applied them to the baseball league, but also in my classroom, where they worked like magic. Now, If you want to know what these six simple words are that act like a magic spell, then you can write me a check for $19.95 and send it along with a self-addressed stamped envelope and … I’m kidding. I’ll actually going to tell you what these six magic words are, because I know their power and I know how they will transform all the relationships in your classroom work. That’s it. Spoken with authority, “that’s how we do things here” establishes you as the leader and delivers social proof in just one short sentence. For example, you have students who don’t want to help with clean up when moving from one activity to the next … All you have to say is “Well, before we move to the next activity, we all clean up. That’s how we do things here.” With that phrase, not only are you communicating the expectation, but you’re also presupposing a type of social proof and acceptance and normalcy - one with which the students find it easy to align. Remember we learned that each student has a one-on-one dyadic relationship with not only you, but with every other student in the classroom? Practice your art here… and you will begin to hear the students repeating your words and keeping their own boundaries in place. Keeping your classroom lively, vibrant – yet orderly and productive lies in your ability to influence these dyadic relationships. Encourage your students to participate in discussion and establish standards and boundaries for how the group operates and most of the work’s be done for you right there! If you don’t remember or if you haven’t seen my video about INFLUENCE, you’ll definitely want to go check that out as well. In the end, RELATIONSHIPS are the piece they don’t teach you in your college classes or workshops… the key to creating relationships within the classroom that are healthy, supportive, and directed toward a common goal is this… it’s basically being a “people person” the entire time you’re around your students. Like I said, many of you have probably already received many compliments and accolades about how you’re just “naturally” good with kids. Anyone who has been teaching for any length of time is pretty much guaranteed to possess this skill – either they brought it into the profession as an innate ability, or they subconsciously developed it through practice… because, trust me, if you don’t enjoy working with students… if you don’t enjoy interacting with them … you’re in the wrong profession. But, like I said, this soft skill isn’t taught in any way, at least not in any thorough way, in our institutions of higher learning or in continuing education or workshops… yet it is one of the key skills to have in order to move your teaching “needle” from GOOD to GREAT. The first thing you can do to start honing this relationship management skill is to bring your attention and your INTENTION to it. Start by noticing where your conscious skill level is when it comes to influencing relationships… reflect on it. Grab your journal and write about it. And what you’re going to find is that the more attention and focus you put on this seemingly innate skill, the better you get at it, and the more harmonious and aligned your classrooms will be… that’s even before you’ve had time to look at curriculum! I hope you’ve learned something useful from this video – it really is my hope that you’re able to take even just one small idea away and implement it in your work with children and youth. Because once implemented, that’s when these ideas start changing lives and changing futures… the lives and futures of your students…. And it’s All because of YOU! We talked about Dyadic relationships… again, if you geek out about psychology principles like I do, I really recommend Bill Wilmot’s books… especially the one called Dyadic Communication. It’s absolutely fascinating to see the interplay of all the pieces of relationships, especially as it relates to being in a group setting. I also challenged you to put on a ROLE MODEL MENTALITY – step into the “BEING” of a role model and act with more intention and integrity in your work… not only do you influence the future, but you’re going to find that there’s more intrinsic satisfaction that you’ll take in what you do, day in and day out. Lastly, we talked about managing the culture of a group and setting boundaries for optimal group buy-in and function. Remember – it’s an art – it’s a dance. One that might have a little bit of a learning curve if you’ve never thought much about relationships and influence from this perspective… but, nonetheless, a very valuable tool that makes every other aspect of teaching flow easier and smoother. How you show up for your students matters. And Together – we’re transforming education.